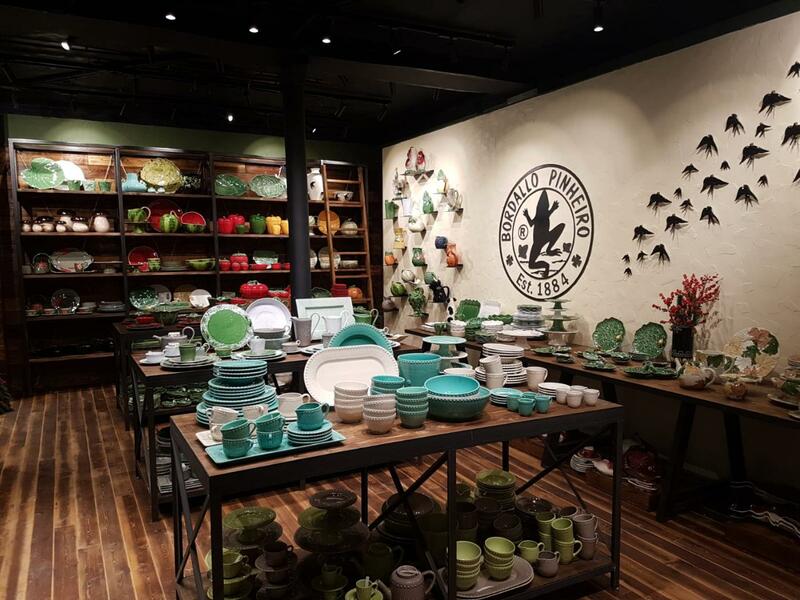 Bordallo Pinheiro opened its first store in Paris, and is expecting to open soon a second commercial space in the French capital as well. The first store of the century-old brand, founded by Raphael Bordallo Pinheiro, is located on the Boulevard Saint Germain, 260, by the metro station Solferino, one of the most commercial streets of Paris, where you can find the top global fashion brands and much more. It’s close to the Musée d'Orsay, one of the most emblematic and well-known museums of the "City of Light", as well as the Quai d’Orsay. One day after the opening, which took place on 4 December, Serge Guilloux, the councilman of the City Hall of Paris, visited the store. He revealed himself to be an admirer of Bordallo’s work, which he already knew, and seized the opportunity to acquire some pieces. He praised and welcomed the presence of the prestigious Portuguese brand in Paris. In these early days of the store, something worthy of note is the visit of many French people who reveal themselves connoisseurs of the Bordallo Pinheiro brand, being pleased by the Bordallian pieces, which have no competition in France. Another much-appreciated detail is the decoration of the store, where all the brand’s collections are for sale. The Bordallo Pinheiro store in Paris is open from Tuesday to Saturday, between 10 a.m. and 7 p.m.
There’s a curious note we should mention: it is precisely in the current location of the store that the Portuguese Pavilion was located in the Exposition Universelle of 1889, in which Raphael Bordallo Pinheiro took on the responsibility for the Portuguese representation, having been awarded, by the French president, the gold medal for the best pavilion of the fair. Its earthenware factory also received a medal as the main presence in the whole pavilion. On the same occasion, Master Raphael also received, from the president, the personal decoration of Knight of the French State.